European shower doors, custom glass mirrors, and shower enclosures from Reid Glass in Michigan will transform the interior design of your bathroom. Reid Glass has a team of experienced artists who can install frameless European shower doors that are custom designed for your bathroom. Our glass finishes are complemented by unique European-style hinges and other sleek fixtures designed for any modern bathroom. Also, the Frameless shower doors bring a contemporary art luxury that matches the style of your bathroom. The state-of-the-art, clean look of our shower enclosures exudes spa feel. You can also opt for frameless bypass doors that create an open feel and look to your bathroom with fewer sliding glass doors and spatial necessities. Our popular trim finishes and clear tempered safety glass door panels can match perfectly with different plumbing fixtures and bathroom accessories. There is a wide range of customized options that can match with your bathroom's finger pulls, handles and towel bars. Reid Glass is Michigan Homeowners' preferred custom glass company. An updated bathroom with sleek shower enclosures and stainless steel fixtures can increase the value of a home, immeasurably. When purchasing a new home or remodeling your current home, ensure that the bathroom is updated by using modern shower enclosures instead of the outdated bathroom curtains. No matter the shape or size of your bathroom, our glass installation team will customize your shower enclosures to your satisfaction. 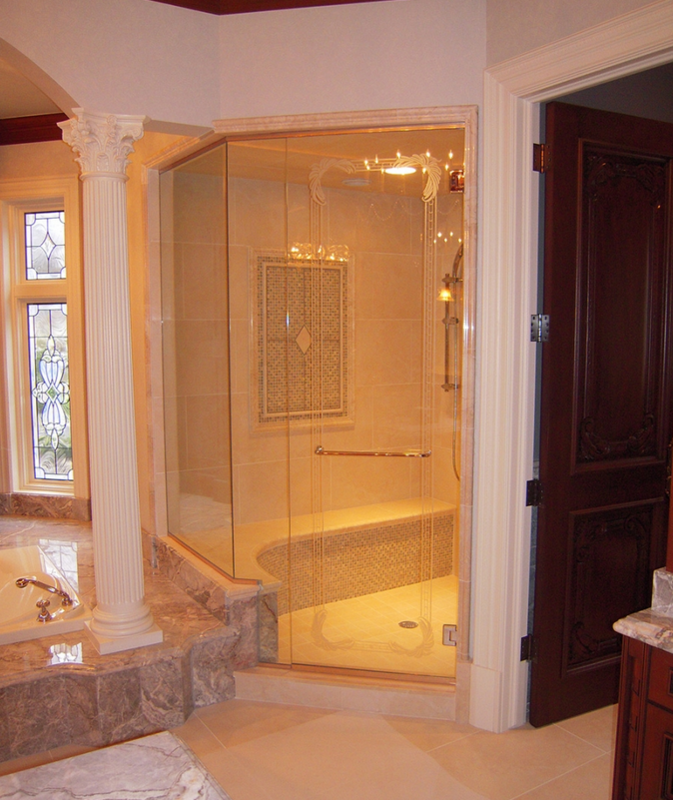 Make sure your bathroom is functional and updated with custom shower enclosures that create a captivating design. We use a collaborative approach of involving you and your interior designer in coming up with a customized design of shower glass enclosures. Functionality: Glass shower doors can support shelving, and allow easier opening and shutting, unlike curtains. Our experienced glass fabricator can also create a steam room effect by extending the shower enclosure to the ceiling. Aesthetics: Glass shower enclosures are a useful investment necessary for every modern home. The shower glass doors are an eye-catching addition to your bathroom. Since glass is so versatile, it can easily blend in with different bathroom designs and color schemes. 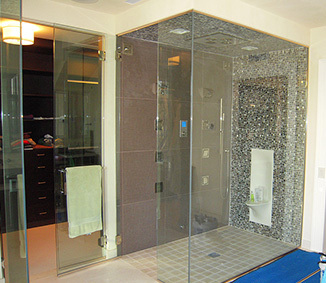 In other words, glass shower doors can complement the design of both traditional and contemporary bathrooms. Cleanliness: Glass is a sterile material suitable for bathrooms, especially if cleaned appropriately. Moreover, it doesn't collect mold and mildew as is the case with shower curtains. Therefore, you can avoid creating a breeding ground for bacteria by installing glass shower enclosures, which you can easily clean with a shower spray and glass cleaner.